Combine kale with white beans which are high in minerals, fiber and protein and you’ve got a snack worthy of superman. 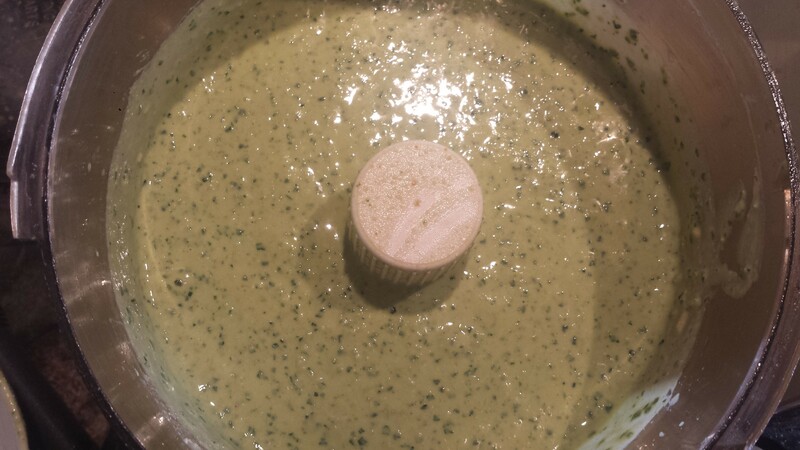 White Bean and Kale Dip combines some of my favorite flavors, white beans (cannellini), kale, cayenne, cumin, lemon, tahini and pine nuts and has none of the fattening creams or cheeses (which I love but am trying to cut back on). The creaminess in this dip comes from the white beans, pine nuts and a bit of olive oil, all healthy and nutritious. More importantly, it is delicious! 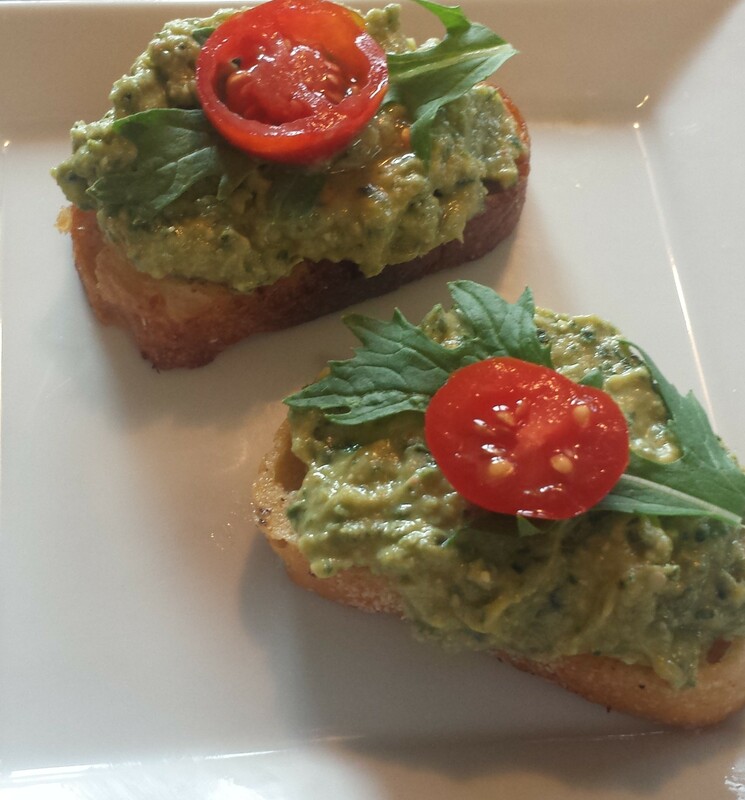 If you are looking for a yummy but healthy appetizer, then this is for you. I served it with pita crackers but its also great with carrots and other raw veggies. You can also spread it on toasted bread and add a sprig of arugula and tomato. Yum! There are a surprising number of recipes out there for White Bean and Kale Dip (or perhaps not so surprising given kale’s goddess status). Variations include walnuts or cashews instead of pine nuts and spinach instead of kale. 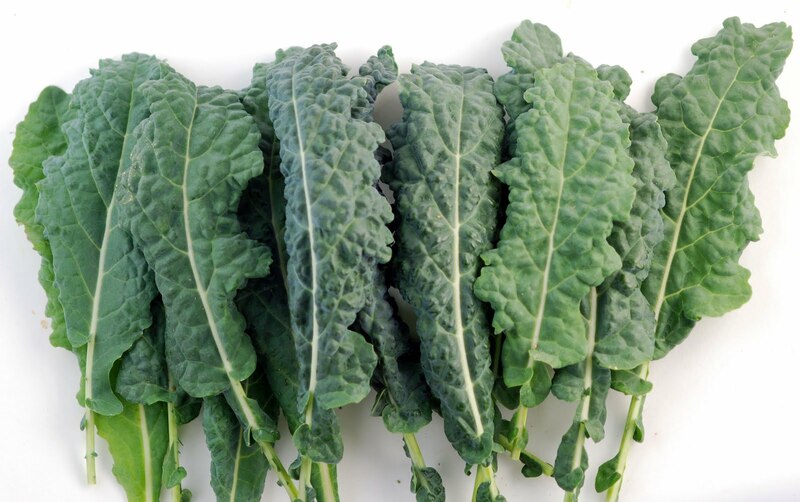 I would recommend Lacinato (Dinosaur) Kale, which is sweeter and less tough(chewy) than the curly type, for this recipe since we are using it raw. If you include nuts, I would recommend running them through the food processor or blender to make a fine powder before adding the other ingredients. You could probably also use an almond or cashew butter if you have it instead. Otherwise, this dip only takes a few minutes to put together but it needs at least an hour to chill in the refrigerator to firm up. I actually thought it tasted better the next day. So time to jump on the Kale Bandwagon if you haven’t done so already! If you’re using nuts, process them into a fine powder in the food processor before adding the other ingredients. Add the rest of the ingredients and blend until smooth. Add water if needed to blend ingredients. Pour into a serving dish and chill in fridge for 1 hour or more. It will thicken quite a bit and the flavors will meld. Serve with crackers or raw veggies. 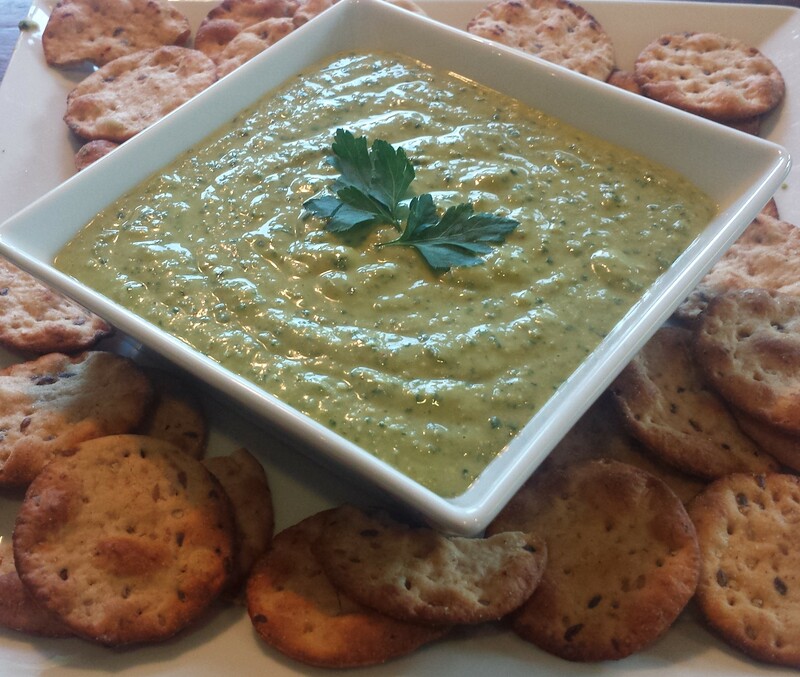 This entry was posted in All Recipes, Appetizers, Meatless Monday, Vegan, vegetarian and tagged canellini beans, gluten free, kale, kale dip, Meatless Monday, party dip, pine nuts, tahini, Vegan, vegan dip, vegetarian, Wheat Free, white bean and kale dip, white bean dip, white bean spread. Bookmark the permalink.